So, what equipment do you need to start with my classes? Well actually, you probably have everything you need already! If this all sounds too technical, don’t worry! I have created a collection of video, and printable, guides which will help you – step by step – to get everything ready. Visit my calendar and scheduling site here. Select a day and time for your class. Confirm the time and make the secure online payment. 24-hour Online booking is easy, convenient and flexible. 24-hour Online booking is easy, convenient and flexible. Moreover, online payments allow you to pay for your classes using a payment card. Payments are fast, private and secure with an instant official receipt. No more bank transfers or having to go to an office to make cash payments during limited and inconvenient opening hours. Don’t want to use your card – no problem. Email me and you can pay using PayPal or bank transfer instead. Install and access the Zoom software in your browser. Try my test classroom so that everything looks a little familiar in our first class, and to test your your audio configuration. 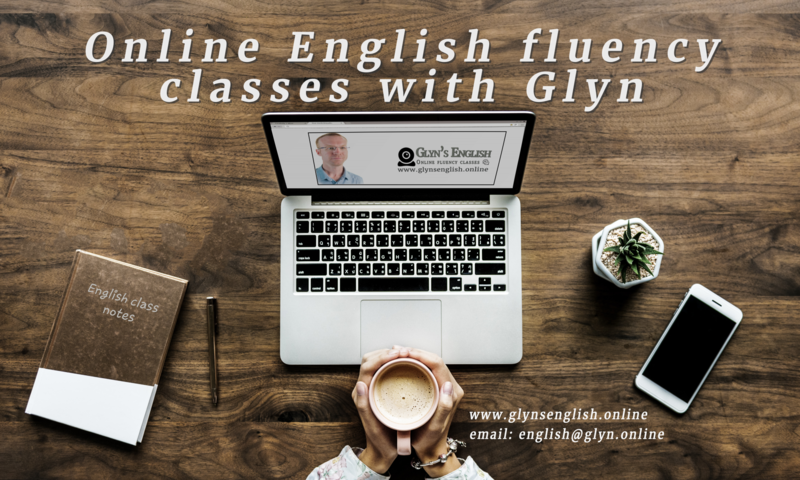 Our system also has a ‘test’ room (www.tryclassroom.glynsenglish.online) which lets you look around and explore our classroom before our first class. But if you do have any problems, you can send me an instant message or email and I’ll get right back to you.